Where DO YOU PROCESS AND BUTCHER YOUR ANIMALS? Our cows and pigs are processed at Marin Sun Farms in Petaluma, ten minutes from the farm. This allows for a short, low stress transfer. 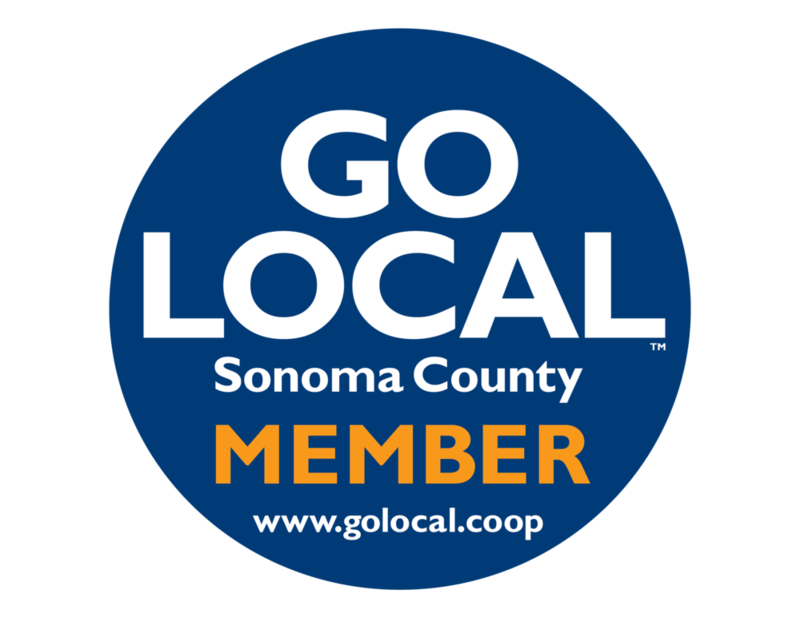 Our animals are then sent to Sonoma County Meat Company in Santa Rosa for complete butchering to our specifications. These facilities are recognized as humane, clean, and skilled in processing high quality, pasture raised meats. We have long standing relationships with these businesses and partners and participate in the process from start to finish to ensure quality for our CSA and family. The word pasture conjures images of green, rolling hills where animals graze. Pasture raised to us quite literally means raised out in the fresh air, grass, and sunshine. Living on pasture - cows, pigs or chickens - lowers stress, offers the optimal conditions for happy animals, and fulfills our duty to the treat land and the animals we raise with the utmost dignity and respect. Can I SHOP IN THE FARM STORE IF I'M NOT A CSA MEMBER? Of course! Guests are welcome in the farm store anytime between 10AM - 6PM, seven days a week. Fresh meat comes in on most Fridays. There is a $10 parking fee that is validated with a $10 purchase or higher. Our items have an average unit weight, but due to the fact that we use the whole animal, not all cuts are uniform. The average weight of each item is found in the item description. When ordering via the web store, you are ordering per unit and we ship the final weight. Does the recipe call for a certain weight? E-mail or call Customer Support and we’ll build your order for you. How can I figure out my bill? To have more predictable income, and be able to keep offering the best price, the shares are all designed to be automatic. You can provide a default, or we will send the last order placed. You can take a break anytime by e-mailing Farmhouse@tarafirmafarms.com or call 707-765-1202 to skip an order or set a vacation hold. WHY DO I HAVE TO HAVE A CUSTOM SHARE DEFAULT? We charge a one-time $20 enrollment fee to join our CSA. If you ever take a break from the service, we can simply reactivate the account when you are ready to receive orders again. What is this $20 fee? Our pigs eat over 10,000 lbs of waste food each month. This is GMO-free food that is not fit for human consumption and would normally go to the landfill. Our beef is 100% Grass-fed, from start to finish. Our egg laying hens eat organic chicken feed that contains organic corn and soy. Our meat birds have a diet of GMO-free feed that may contain glyphosate-free corn or soy. All animals are pasture raised. What kind of food do your animals eat? My Freezer is full! How do I stop my subscription? We have no contract and commitment. To hold service, simply send us an email at least 24 hours before the next scheduled delivery. If its more long-term, we’ll set a bag pick up to get any of our reusable freezer bags. Moving is stressful. Just let us know the move dates, and the new address. if you are still in Bay Area, we will get you on the best route for the new address for the next scheduled delivery. I’m moving! What do I do! In order to cancel your account, please contact a TFF staff member at farmhouse@tarafirmafarms.com or (707) 765-1202, no less than 48 hours prior to your delivery. In the event that you are unable to pickup your order during the specific pickup window, you must contact the drop host directly to make pickup arrangements. Members will still be charged for missed pick up. Frequent missed pick ups and you will be asked to switch to home delivery. All Farm pick up orders must be picked up within 5 business days. If you find you are not receiving email alerts, please contact customer service farmhouse@tarafirmafarms.com or (707) 765-1202. Deliveries will be made at scheduled time frames utilizing delivery instructions provided by our members. TFF is not responsible for theft or damage of any kind. There will be a delivery fee associated with each delivery that is made. For continuous service, Tara Firma Farms (TFF) will keep a credit card or payment on file. This method of payment will be utilized for food that is delivered and any associated delivery costs. If there is an outstanding balance that has not been paid within 5 business days, your account will be placed on a permanent hold until payment is received. All members to submit a $20 Enrollment Fee at the time of enrollment. Food ordered that is out of stock will not be charged to your account. 10 am - 6 pm, 7 days a week. • All Guests must check in at the Farm Shop. • Parking for Non-CSA members is $10, validated with purchases of $10 or more. • Do not enter animal enclosures. • Members are responsible for their guests. Please treat our property with respect. • Dogs must remain on leash. • All Fishing is Catch & Release, no live bait, barbless hooks. • All minors must be accompanied by an adult. • In the event that a member or one of their guests damages TFF property, of any kind, please report damage to a TFF staff member immediately. • Members and their guests understand that visiting Tara Firma Farms risk serious and/or fatal injury. • Tara Firma Farms is a NO-FLY-ZONE. No Drones.